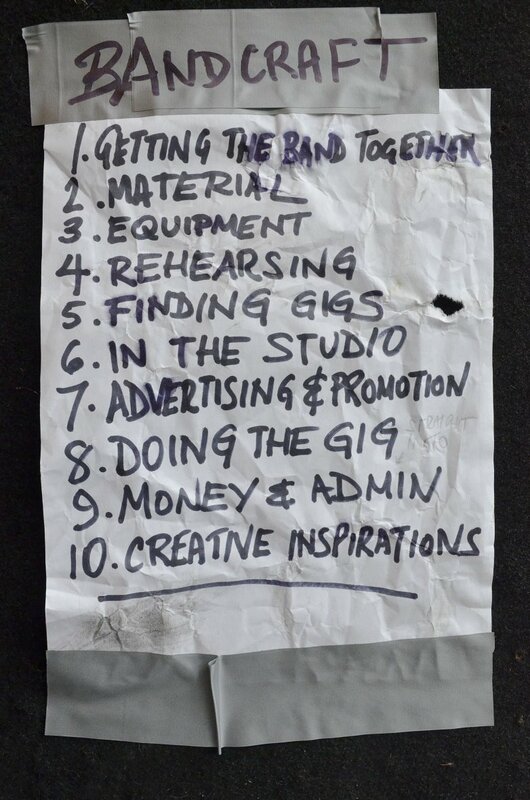 Allen Maslen has been a professional musician for 35 years – he has written a roadmap for every aspiring artist and band to follow. Nigel Carr reviews the book below. Every now and again a book comes along which is a game changer – it fills the gap which other books don’t occupy. I recently read the The Elements of Eloquence by Mark Forsyth which explains the various techniques used over the years by writers from as far back as Moses up to modern day songwriters. One of those elements was anadiplosis – the simple method of repeating the end of one line of a song to start the next, as used in Glad You Came by the Wanted and countless other songs over the years. The book is packed full of techniques cleverly used by writers to keep you hooked and is an essential bit of kit for any budding lyricist. Bandcraft by Allen Maslen is another one, occupying a space in popular media that no other does. It is packed from cover to cover with essential pieces of information for any artist wanting to survive in the heady world of live music and progress their band’s career. Subtitled How To Build A Professional Band Maslen takes the reader on an often hilarious read from how to get the band together – advertising for members online, in magazines and via the local music shop, through survival packs for gigging, how to work efficiently in the studio, how to prepare and behave on stage through to how to look after the money and administration. Born in Cardiff, Maslen has been there and got the T shirt (£10 off the merch. table!) – with more than 35 years in the music business he is an award winning multi-instrumentalist, guitar teacher, BBC broadcaster and producer and has plied his trade with folk rock band Meet On The Ledge since the early nineties. Maslen has packed Bandcraft with hints and tips and creates a roadmap for anyone serious about making it in the music business. There is no get rich quick solution here – it’s about hard work and commitment – approaching your music career as you would any other in a professional and business like way to get the best out of yourself, your band mates and those around you, to grow your career and keep the money coming in. The light-hearted, very English way he has written Bandcraft won’t be to everyone’s taste, if you’re a young punky upstart with a Sid Vicious attitude and matching sneer then you might just see the book as a piece of homework – but trust me even if you only skim through it you will find something that will inform and inspire – it really is that good. After the first little nuggets start to sink in you will be hungry for more – it is jam packed with of a ton of advice and witty one liners. Maslen doesn’t bore you with his own career, one of endless gigging, writing and performing but he does punctuate it with some very funny almost Spinal Tap moments – like the tip for all band members to exit the stage in the same direction, at the same time. 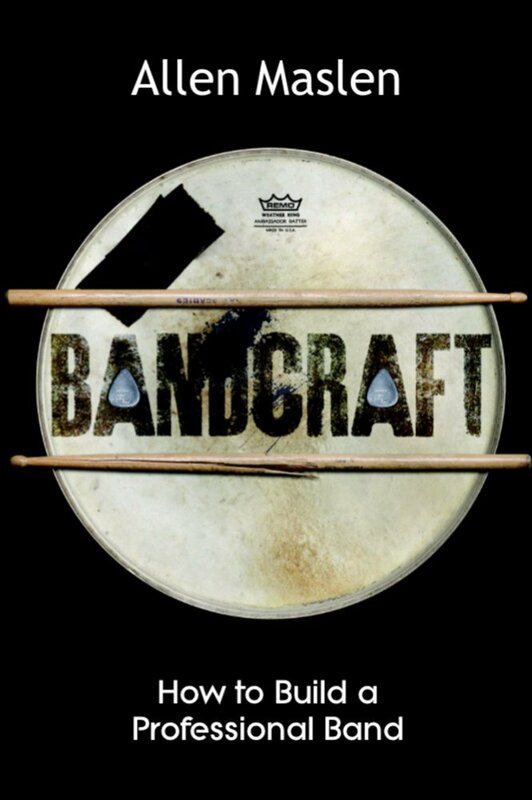 Bandcraft is an essential bit of kit, as important as the extra plectrums, strings and drum key that you left at home before your last performance – any aspiring band or serious artist needs to own this book! Bandcraft is out now via Steve Brookes Publishing and can be bought from Amazon for £7.99 here. Allen Maslen on Facebook, he tweets as @AllenMaslen and his Website is at http://allenmaslen.co.uk/.